Very helpful video that we came across. 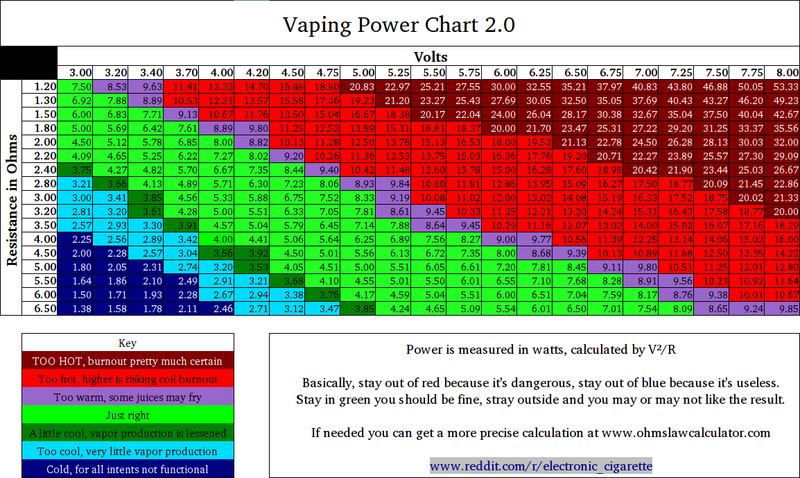 It emphsizes the importance of Ohms Law in the vaping. Use the above chart as a reference to find your ideal ohms to volts ratio. The number is colored boxes represents watts. In theory watts = (volts)^2/ohm.